The Mitsubishi Zero was introduced early in World War II, the Zero was considered the most capable carrier-based fighter in the world, combining excellent maneuverability with effective fire power. 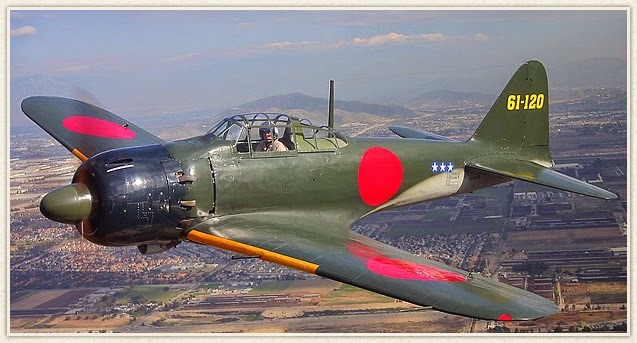 The New York Times on April 3, 2015 profiled a story about 98 year old Kaname Harada, a Japanese fighter interceptor in World War II ~ a story superbly written by Martin Hackler who fully captured how Harada's innate urge to unite ran far deeper than his wartime urge to kill and destroy ~ a phenomenon I continually witness in my role as a heart centered consultant with combat veterans with PTSD. "Kaname Harada was once a feared samurai of the sky, shooting down 19 Allied aircraft as a pilot of Japan’s legendary Zero fighter plane during World War II. 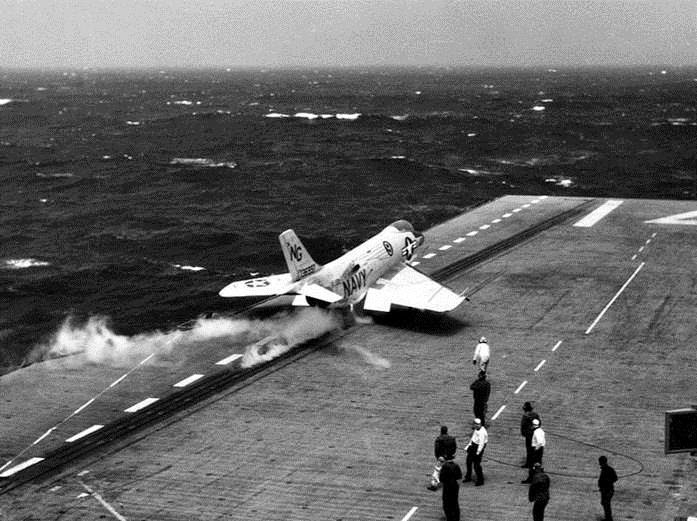 Now 98 years old and in failing health, the former ace is on what he calls his final mission: using his wartime experiences to warn Japan against ever going to war again. This has become a timely issue in Japan, as the conservative prime minister, Shinzo Abe, has called for revising Japan’s pacifist Constitution. It is a warning that Mr. Harada fears his countrymen may soon no longer be able to hear. There are only a dwindling number of Japanese left who fought in the war, which in Asia began when Imperial Japan invaded northeastern China in 1931, and claimed tens of millions of lives over the following 14 years. 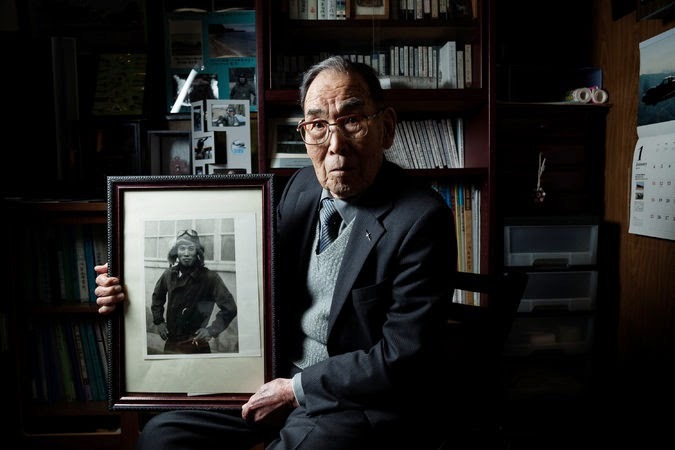 In an interview after his speech, Mr. Harada described himself as “the last Zero fighter,” or at least the last pilot still alive who flew during that aircraft’s glory days early in the war with the United States. 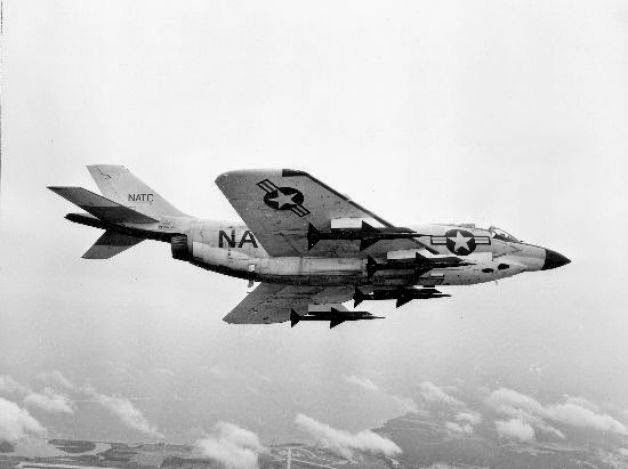 He recounted how in dogfights, he flew close enough to his opponents to see the terror on their faces as he sent them crashing to their deaths…..
"He said the nightmares finally ended when he found a new calling by opening a kindergarten in Nagano in 1965. He said he was able to alleviate the pangs of guilt by dedicating himself to teaching young children the value of peace. While he has now retired, he said he still visits the school every day so he can to see the children’s smiling faces." Wise and true words from a combat veteran who is now a samurai of the heart and advocate for peace but not too different than the combat veterans I work with who are rediscovering that same need to unite versus fight ~ to go beyond their deep sense of guilt and unworthiness as well as respond to a genuine need to be in service to mankind. My F3H Demon Interceptor fully loaded with deadly Sparrows and heat seeking Sidewinders. Harada's last mission is similar to my last mission for having been trained to kill as an all-weather Navy fighter interceptor whose mission was to protect the fleet ~ I realize that my training was only a prelude to a greater mission to share the truth of a Unified Field of love and soul consciousness that exists not only beyond time and space but also beneath our deepest fears. I will never forget and often share my unforgettable experience while on active duty of surrendering to that field and state of consciousness, which seemed endless but it was only a matter of a split second. The final option, which happened during active duty carrier operations in 1960, became a split second of surrender and transcendence, an experience beyond the normal or physical level, and in the process I experienced the timeless and fearless world of soul consciousness ~ where all the answers are clear but can only be truly accessed in that moment of total surrender. What happened that night would become the foundation of my life's quest or journey to demonstrate that beneath our deepest fears is a spring of love, joy and soul consciousness and I have helped thousands of others go beyond their fears and surrender to love through my work and book Radical Therapy, Surrender to love and Heal yourself in Seven Sessions (not seven years) ~ and to discover for themselves that love and gratitude are the foundation of virtually all true emotional healing. As a heart centered spiritual consultant or advisor ~ I teach a seven session process that anyone can do with my book and demonstrated by watching the sessions on YouTube. That brief moment of inner peace and clarity I surrendered to that night on the South China Sea, with my life in the balance, can be the authentic experience of anyone willing to go beyond their fears, surrender to love and heal themselves in the process. In summary, the last mission of fighter interceptor pilots Kaname Harada and myself was to be in service as light workers and protect mankind with our common message of peace and love ~ particularly now during a current dark time in mankind's quest for true meaning.